Did you know you can instantly create a complete bundle directly from iManage? So whether you use iManage FileSite, DeskSite or iManage Work, it’s all possible. It’s true. 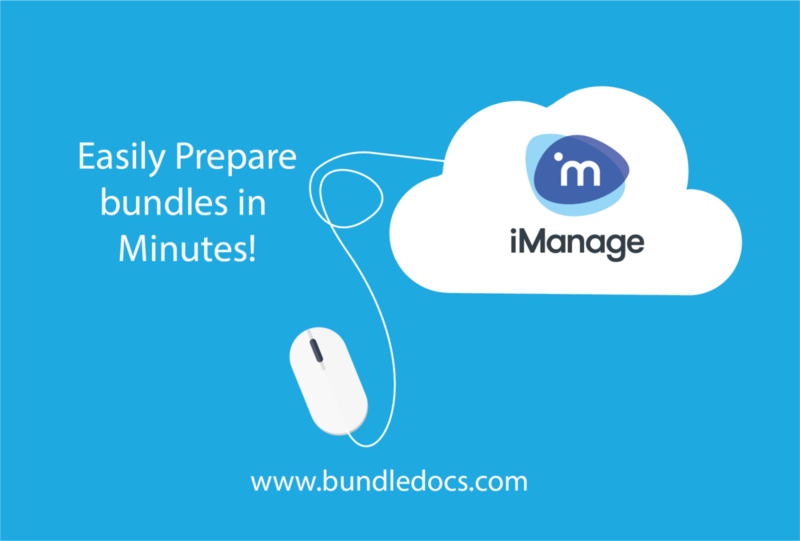 With Bundledocs you can create complete bundles directly from your iManage workspace. This will automatically pull in any folders, sub-folders and documents you have contained within your Workspace. 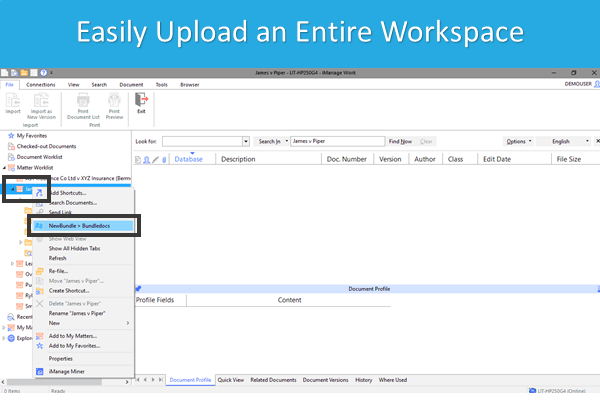 With just a few clicks you can replicate your complete workspace into a Bundledocs bundle. Simply right click on the workspace, for example, ‘James v Piper’. From the options, select ‘NewBundle > Bundledocs’. Note: If you have yet to login to Bundledocs, you will be initially prompted to provide your Bundledocs username and password. From the window, select ‘New Bundle’. This will automatically begin to reproduce your workspace within Bundledocs. That’s it. Access your Bundledocs account via app.bundledocs.com. Within your account, a new bundle will be automatically created based on your Workspace. This will include your workspace folders, sub-folders and documents. Now that the hard work is done, you are free to customise your bundle as you like. Simple! If you’re interested to learn more about Bundledocs and our integration with iManage, get in touch today. We can arrange a free online demonstration or trial so you can see how it works.